Greetings from Grenada, an almond-shaped mass of volcanic composition that lies just 100 miles north of Venezuela – so close to Hugo Chávez! Known as the “Spice Isle,” Grenada is the world’s second largest producer of nutmeg and also exports ginger, cloves, cinnamon and a number of other spices. It smells heavenly here. 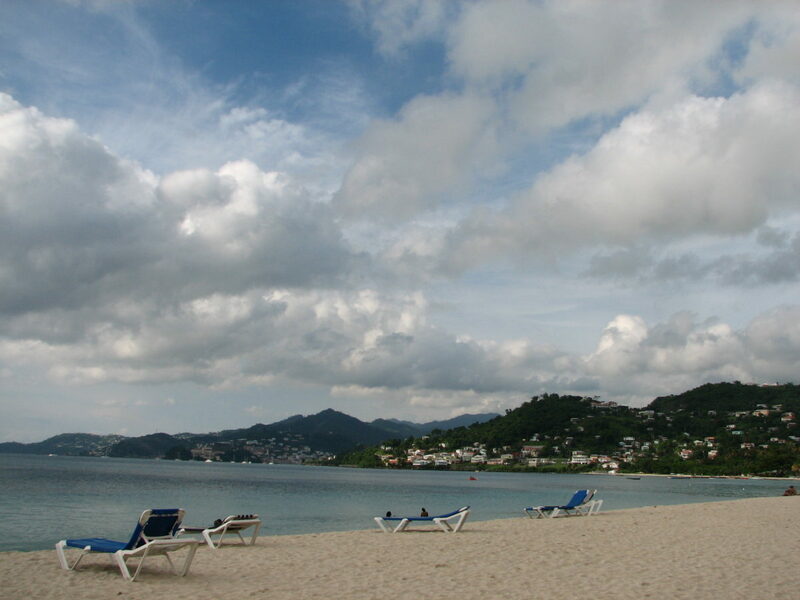 Since most of my work is done, I am taking the day off to relax on the idyllic Grand Anse beach. This trip has solidified my belief that I am not suited for the sands – my spirit lies in the mountains – but I am certainly enjoying the downtime. The people are lovely, the land is beautiful, and the local Caribbean brew, Carib lager, has a pleasant aftertaste. No complaints here. Tomorrow I plan to finish work in the early afternoon and will possibly make a few purchases at the local Grand Anse Spice Market. I come home on Tuesday and look forward to moving into a new apartment with a close friend from college and spending some much needed time in Boston. In the meantime, the sun is setting and I feel like going for a quick jog. See you stateside!